Findagrave.com, memorial #26467460. All Rights Reserved - ©2017 - Patrick A. Timlin. [S185] Concord, Massachusetts Births, Marriages, and Deaths, 1635–1850, 100, Daniel Brooks b. [S357] Vital Records of Westford, Massachusetts, To the end of the year 1849 , 267, Daniel Brooks d.
[S185] Concord, Massachusetts Births, Marriages, and Deaths, 1635–1850, 115, Anna Brooks b. [S357] Vital Records of Westford, Massachusetts, To the end of the year 1849 , 140, Anna Brooks/Benja Nutting, int. [S357] Westford VR, 140, Anna Brooks/Benjamin Hoar m.
[S667] Chandler and Lee, History of New Ipswich (1914), 468-69, Hoar. [S925] Frederic Kidder, Hist. New Ipswich (1852), 392, Benjamin Hoar. [S308] Thomas W. Baldwin, Vital Records of Cambridge, Massachusetts, To the Year 1850, 2:128, Richard Eckles/Mary ____ m. (c.r.). [S222] Lucius R. Paige, "Massachusetts Freemen," 19, Rich'd Eckels. [S1304] Edna Warren Mason, Descendants of Capt. Hugh Mason, 19. [S308] Cambridge VR, 2:541, Mary Eccles d.
[S308] Cambridge VR, 2:128, Ri[chard] Eccles/Susannah Carter m.
[S308] Cambridge VR, 1:224, Timothie Eccles b.; 2:541, Timothy Eccles d.
[S308] Cambridge VR, 1:224, Mary Eckles bp., n.d.
[S282] John Brooks Threlfall, "Thomas Brooks," 10: "daughter of Richard and Mary (____) Eckles of Cambridge." [S308] Cambridge VR, 1:224, Martha Eckles bp., n.d.
[S185] Concord, Massachusetts Births, Marriages, and Deaths, 1635–1850, 17, Tabitha Brooks b. [S572] William Gray Brooks, "A Genealogical Account of the Brooks Family," 28, 56. [S210] Edward P. Johnson, Woburn Records, 1:28, Eunice Brooks b.; 2:20, d.
[S210] Johnson, Woburn Records, 2:20, Eunice Brooks d.
[S210] Edward P. Johnson, Woburn Records, 1:28, John Brooks b. [S210] Edward P. Johnson, Woburn Records, 1:28, Eliezer Brooks b. [S298] Cutter & Loring, Brooks Family of Woburn, 9, Ebenezer3 (8.) Brooks. 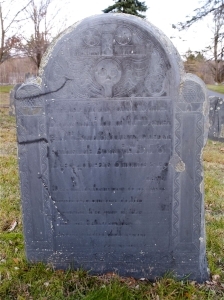 [S508] Frederick William Bailey, Early Connecticut Marriages, Killingly-Putnam Congregational Church: Eleazer Brooks/Hannah Leavens m.
[S1461] Jacquelyn Ladd Ricker, The Ricker Compilation, Killingly VR, Mary Brooks b. [S1461] Ricker Compilation, Killingly VR, Hannah Brooks b. [S1461] Ricker Compilation, Killingly VR, Jerusha Brooks b. [S1461] Ricker Compilation, Killingly VR, Jehiel Brooks b. [S1461] Ricker Compilation, Killingly VR, Adonijah Brooks b. [S210] Edward P. Johnson, Woburn Records, 1:28, Martha Brooks b. [S486] Debbye Lansing, citing 1932 (c. 21 Mar) newspaper clipping (probably a Boston Evening Transcript genealogy column), heading "#3306. Sawyer, Brooks," quoting "records of First Church of Killingly," n.p. : chil. Ebenezer Brooks bp. [S508] Frederick William Bailey, Early Connecticut Marriages, Killingly-Putnam Congregational Church: Martha Brooks/Jacob Comins m.
[S210] Edward P. Johnson, Woburn Records, 1:28, Eunice Brooks b. [S210] Edward P. Johnson, Woburn Records, 1:28, Priscilla Brooks b. [S36] James Savage, A Genealogical Dictionary, 1:260: 17 Feb 1702. [S210] Johnson, Woburn Records, 1:28, Priscilla Brooks b. ___ 17, 1701. [S1461] Jacquelyn Ladd Ricker, The Ricker Compilation, Killingly VR, Prisciller Brooks/Asahel Blancheard m.